RSA is Australia’s sole specialist privately owned road safety auditing company established in 1994. The company specialises in Road Safety Auditing and development of Road Safety Strategies and action plans, Traffic Management, Accessibility and DDA Audits, Risk Assessment and Analysis, Pedestrian Safety Audits, provides expert witness for the legal profession and undertakes strategic transport planning activities. Currently RSA has its head office in Victoria, however, a joint venture office exists in India. 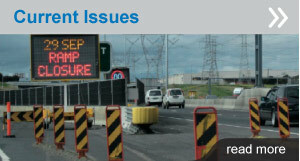 RSA has undertaken road safety audits at all stages for the majority of Australia’s largest infrastructure projects. Our auditing expertise stretches across all modes of transport and interaction between these modes including non motorised forms of transport (pedestrians, bicycles). The latter areas of auditing are becoming a key focus in new developments as competition for limited road space becomes critical. 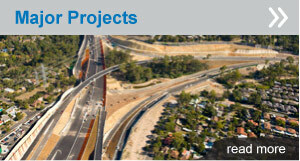 RSA’s road and public transport projects have ranged in value from $200,000 to $5billion. RSA’s road safety auditors base their knowledge on practical first hand examples through conducting significant numbers of road and transport safety audits (all stages) with no restrictions on project size or complexity. Understanding of theory and first principles as they relate to practicalities in road safety, traffic engineering, road design, road construction and pedestrian safety, is also second to none.